In a previous post I talked about the emerging need for Offline & Tracking – how mobile learning has evolved and from where this need is coming. I would now like to discuss the options you may have at your disposal in trying to make eLearning available offline with tracking. I’ll evaluate whether some of the Responsive Authoring Tools available in the market can help provide a solution for any of these options. And I’ll tell you about the solution that we have come up with to meet this need. If you have a one-time fixed set of content to deliver, you can package it into an app and make the app available through a private or public app store, with appropriate access credentials. The content gets downloaded along with the app and is therefore available offline. Tracking can be implemented by building in xAPI compliance, storing statements locally and then passing them to an LRS whenever there is connectivity. Such a solution can work well if you want your new recruits to go through a set of documents, videos, and even short courses before they join; and you want to track if and when they have done so. Or you have a product launch in advance of which you’d like to share some information and administer a quick quiz to ensure your sales reps are well prepared. Or maybe you have some pre-reading material to be completed before attending a classroom session and need to ensure that everyone attending the session has gone through it. This option can also be useful for providing performance support. You can pack a number of role-specific ‘how-to’ videos into an app which can be referred to while on the job, whether or not there is connectivity. If you are delivering content through an LMS and want to create fully responsive eLearning available on desktops, laptops, tablets, and smartphones in online and offline modes, you need a solution that maps to and exchanges data with your LMS. One obvious solution would be an LMS offline app from your LMS provider. If you have that you’re covered. However, if your LMS doesn’t have an offline app, you need a solution that does interact with your LMS. This would involve a wrapper app that can communicate with the LMS when online, for things like learner validation, course/content assignment, content hosting and download, learner data tracking, notifications, etc, and store data locally when offline. Developing such an app could be very challenging when you have different vendors for your offline app and your LMS. One way to overcome the challenges involved in the development of a SCORM/AICC-compliant wrapper app from a separate vendor is to go for an xAPI-compliant wrapper app. This reduces the need for interaction with the LMS to a large extent. With an xAPI-compliant wrapper app, you can launch/download content from any web link. You can implement learner authentication through APIs from existing HR or other systems (or even LMS APIs if possible). And you can send learner data to a separate LRS that also has reporting abilities. A solution like this would work best for focused content intended for a specific group of learners (say the sales team in a company). 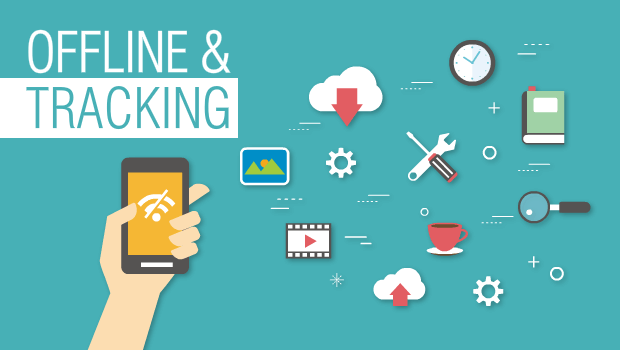 Now that you know some ways in which offline and tracking can be implemented, the question that arises is how to go about developing any of these apps? Can Authoring Tools Help With Any of These Options? 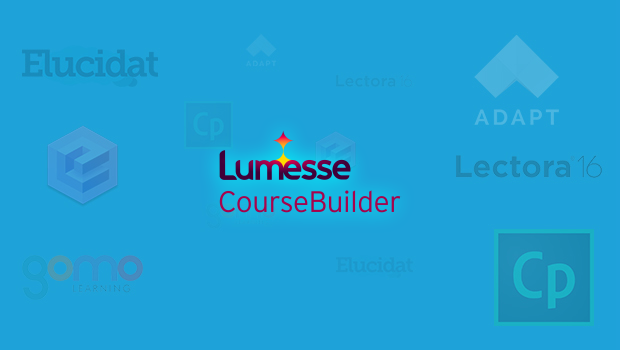 There are several tools out there that help you create responsive eLearning. 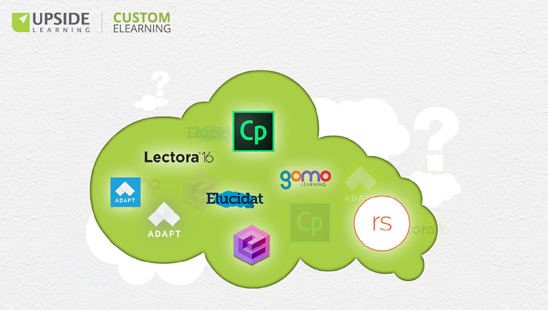 We’ve covered six of them in a series of blog posts: Adapt, Evolve, gomo, Elucidat, Captivate 9, and Lectora 16. 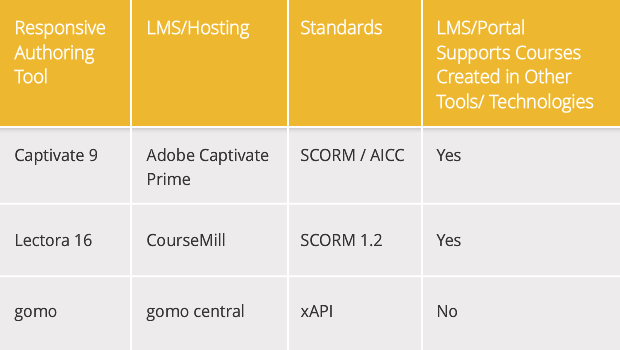 Of these, Captivate, Lectora, and gomo offer offline and tracking capabilities – but ONLY when the content created is delivered through their respective LMS/portal. Due to this constraint, all three tools fall under Option 2 above and can work only for organizations that use those specific LMSs/portals. To recap, if you’re looking for an offline app that integrates with your LMS (i.e. Option 2 above), then the best option is to look for an LMS which has its own offline app. Or if your organization is using Adobe Captivate Prime, CourseMill, or gomo central, you could deliver and track offline content through their respective apps. If you don’t fit into those categories, then you’ll need to go in for an app with preloaded content or an xAPI-compliant wrapper app (i.e. Options 1 and 3 above). The only way to create these is through custom development. And that’s just what we did. At Upside Learning, we’ve built a solution for viewing and tracking content offline using xAPI. It works with APIs (from HR or other systems or LMSs if available) to validate learners and then allow them to download content onto their devices. The content is available offline and the solution tracks data and sends it to an LRS whenever the learners are connected. For more see here how MangoMatter did a comprehensive round-up of all the top web hosting companies to provide better services to their clients. Get in touch with us at elearning@upsidelearning.com if you’d like to know more.